Haus Barkhausen – two newly furnished apartments right on the edge of the historic old town of Monschau. Dive into the heyday of the Monschau cloth-making industry. In 1785, the Scheibler family built another spacious villa next to the city’s landmark, the Red House: the Barkhausen house with adjoining coach house. You now have the exclusive opportunity to spend your holidays in one of two apartments in Haus Barkhausen. 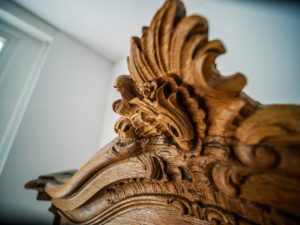 The old furniture and the Ancestors on the walls bear witness to the pageantry of yesteryear. A well-equipped modern kitchen with dishwasher and fully automatic coffee machine is also available as well as cozy boxspring beds for the night, Wi-Fi and satellite TV. 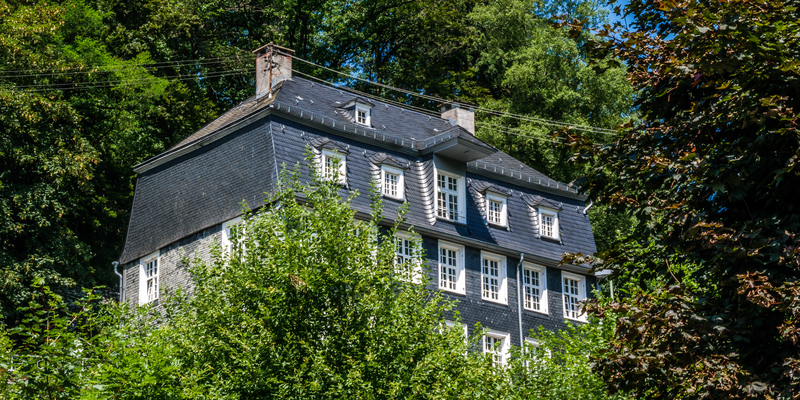 In addition, we also offer you the Kutscherhaus Monschau next door as a holiday flat. Another holiday flat can be found on Stehlings. There we also offer four hotel rooms. With us you get a holiday home with garden access, in the romantic old town of Monschau, with parking place in front of the neighbor house. (c) 2018 Ferienhaus Kutscherhaus in Monschau - Johannes Zeller - Eschbachstraße 53 - 52156 Monschau.